Compared to other transmission mediums, the light of fiber optic transmissions can travel farther distances—and this is just one of the many promising capabilities of fiber optics. Its capabilities have garnered the trust of numerous business owners all over the world. This has paved the way for fiber optics from being reserved for high-performance needs to being prevalent in the business world. Although it’s as clear as day how optical fiber can optimize a business’ performance, it’s still susceptible to network issues. In this guide, you will learn about the different kinds of fiber optic cabling issues, and how to fix them. Just like copper cables, fiber optic cables also need maintenance for you to make the most out of it. For that reason, regular cable inspections are necessary for every organization utilizing fiber optics. 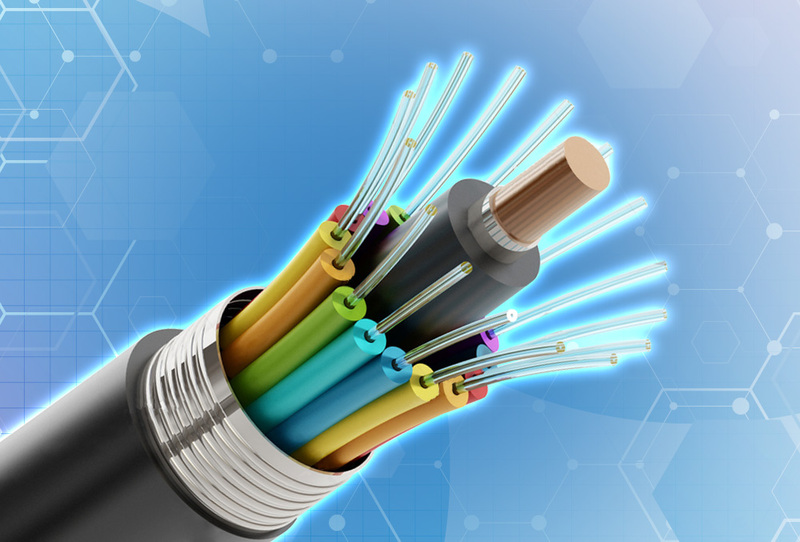 Fiber optic cables make use of glass fibers to transmit data. And although these cables are made to withstand natural elements, its glass fiber material makes it vulnerable to breakage or damage. That’s why it’s important to be mindful of how you handle the cables you use for your fiber optic network. In order for you to continue enjoying the benefits of fiber optics, you have to replace damage fibers immediately. That’s why it’s recommended to make use of a fiber optic tracer to look for the faults within the cable. At present, there are different kinds of connectors available that you can use for fiber optic cords. But before you purchase one, you have to see to it that you have the appropriate one for your fiber optic cables. It’s important to have a connector that fits well on your cables to optimize your fiber optic network experience. Moreover, you should also make sure that they are inserted properly so that they won’t slip out. 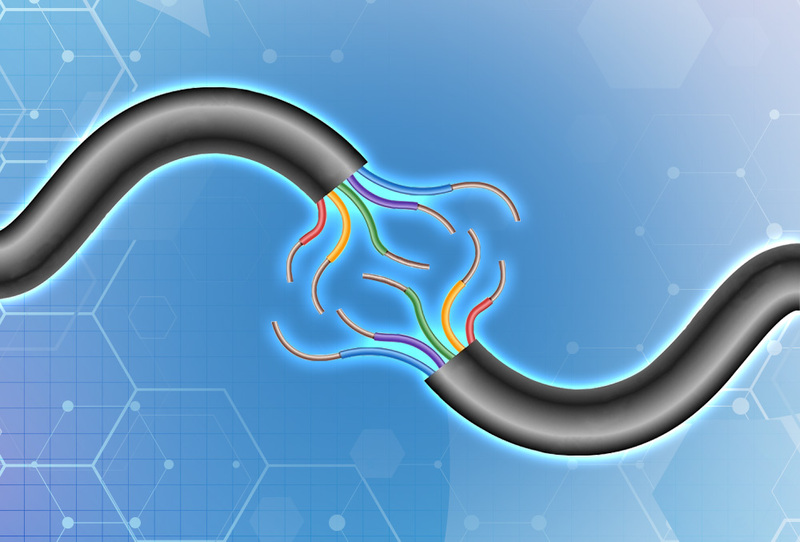 When your fiber optic cable is longer than what’s necessary, it becomes susceptible to bending, twisting, and winding around itself—these are potential risks that can cause permanent damage to your cable. That said, it’s crucial to make sure that you’re using the appropriate length for your network infrastructure. You can get the approximate length by measuring the distance between all the equipment you’re going to connect using the fiber optic cables. Another reason why fiber optic cables can get damaged is overstretching. When cables are stretched over a certain range it can no longer tolerate, it can easily damage the components within it. To refrain this from happening, you have to avoid pulling the jacket of the cable. If the need to fit or remove connectors arises, it’s recommended to use a fiber optic grip tool. That way you’ll be able to perform the necessary customization without the risk of stretching your fiber optic cables. When it comes to fiber optic cables, even the slightest splits and scratches can affect your network’s performance. And that’s the exact reason why fiber optic experts can’t stress the importance of regular cable inspections enough to fiber optic users. The possibility for external fiber optic cable damage is always present—that’s why it’s important to keep an eye out for them. Once you spot any cable defects, remember to always replace these cables for you to continue experiencing the business perks that fiber optics bring. Aside from the common fiber optic cabling issues mentioned above, there are other situations that can cause fiber optic problems. And it’s important to identify them early to help you make the complicated process of troubleshooting these network problems easier. The first step you can take to do this effectively is to gather information. By doing this, you will be able to narrow down the possible causes of your network problem and troubleshoot it more efficiently. In some instances, end-users experience network problems after they disconnect their fiber optic cable from their computer or move their computer to another location. This can be caused by the failure to reconnect the fiber optic cables properly or the contamination of the cables when it was disconnected. Ask the users if they moved or disconnected their computers recently. That way you’ll be able to check if the fiber optic cables are reconnected correctly or if it’s reconnected at all. Another culprit of fiber optic network problems is the changes you made to a computer’s hardware. If you upgraded or changed your computer hardware recently, chances are, something went wrong with your disconnection or reconnection. When you upgrade your hardware, it’s important to disconnect your fiber optic cable to avoid problems. Furthermore, you should also see to it that you reconnected it properly after it was upgraded. That said, it’s a good call to question whether changes are made in the hardware to diagnose the problem faster. You must be wondering what moved furniture has to do with your network problems—but it is possible that during the process of moving your furniture, you overextended, smashed or crimped your fiber optic cable. And as mentioned earlier, fiber damage, excessive stretching, and external cable damage can create a huge impact on your network’s performance. So during your data gathering, you can also investigate if any moved furniture has damaged your business’ fiber optic cable. Sometimes, the network problems you’re experiencing can coincide with the telephone company visits you’re having. According to fiber optic experts, there have been a lot of cases that phone company technicians mistakenly cut or disconnect fiber optic cables during their work. So if your business establishment got visited by these phone company technicians recently, then it can be a good place to start your troubleshooting efforts. It may sound silly but when you step on your fiber optic cables or roll over a chair on it, you can cause it physical stress. This stress can damage your cables badly. Moreover, it can also affect your network’s performance. That’s why it’s important to check on the status of your fiber optic cables and where they are placed. By doing that, you will be able to secure fiber optic cables in a place where it’s safe from objects that can damage it. Why Is the Help of Fiber Optic Technicians Necessary? Troubleshooting a fiber optic problem isn’t as simple as it seems. For that reason, it’s recommended to turn to certified fiber optic technicians for help. By doing that, you will be able to get the assurance that the issues you’re experiencing will be fixed properly. With a fiber optic network that’s working smoothly, you will be able to foster a productive working environment. With its help, you will be able to optimize your business’ network and enjoy the benefits that come with it. 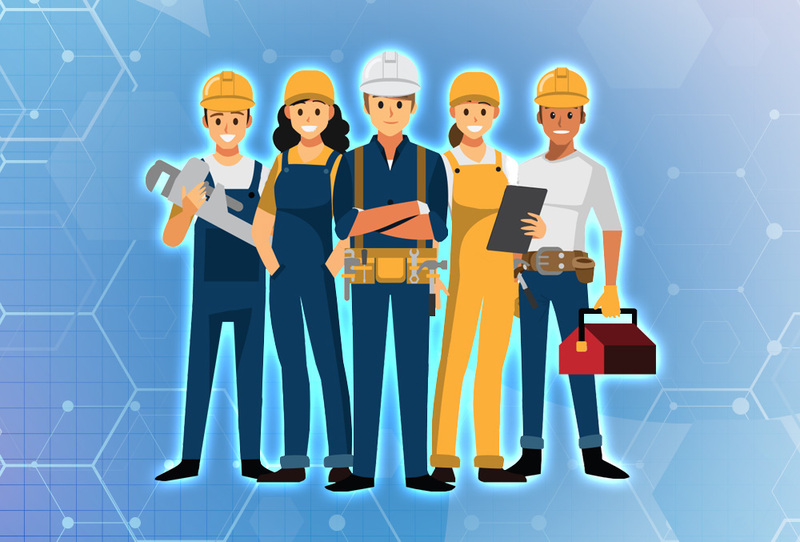 When you seek the help of experts, you will have access to technicians that acquire the tools and equipment needed to troubleshoot network problems. As an added bonus, these people also went through fiber optics courses in Cebu—which means these people have comprehensive knowledge regarding fiber optics. That said, they’re not just well-equipped to fix your network problems, but they are also highly knowledgeable of what they’re doing. Aside from having the necessary tools and equipment to perform network fixes, these experts also see to it that their tools and equipment are working properly. By doing that, they are able to work more efficiently and effectively in a short span of time. With that, business owners are able to minimize the dreaded downtime that their companies experience and maximize their business’ productivity. One of the advantages of letting fiber optic technicians handle your company’s network troubleshooting efforts is the peace of mind you get. When you let experts handle your fiber optic problems, you will get careful documentation of the data tests made on your network. With that, you will be able to keep track of the things that they did on your network and it will be easier for them to trace what went wrong. Without any doubt, accredited fiber optic technicians can help you fix your network problems faster and better. And on top of that, they can also make sure that these issues won’t reoccur in the long run. Ensure the continuity of the business perks you’re enjoying with the help of these Fiber Optic Association certified technicians.